Say hello to the last post of 2014! 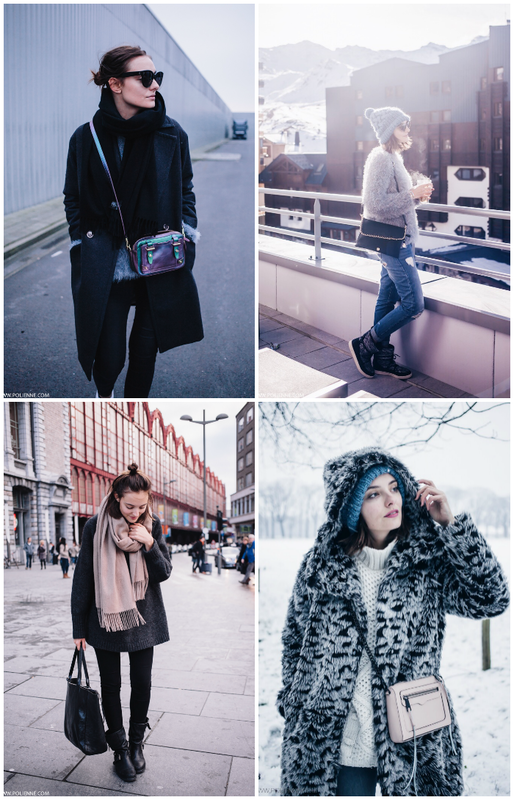 To round up an eventful year full of ups and unfortunately also a few downs, but mainly with some real cool opportunities and a LOT of love, I decided to collect my favourite outfits of 2014.While I initially wanted to limit myself to somewhere between 5 or 10 outfits, it quickly turned out this would be impossible. Although my preferred outfits mainly situate themselves in the last few months, there are also a few early 2014 looks worth mentioning. 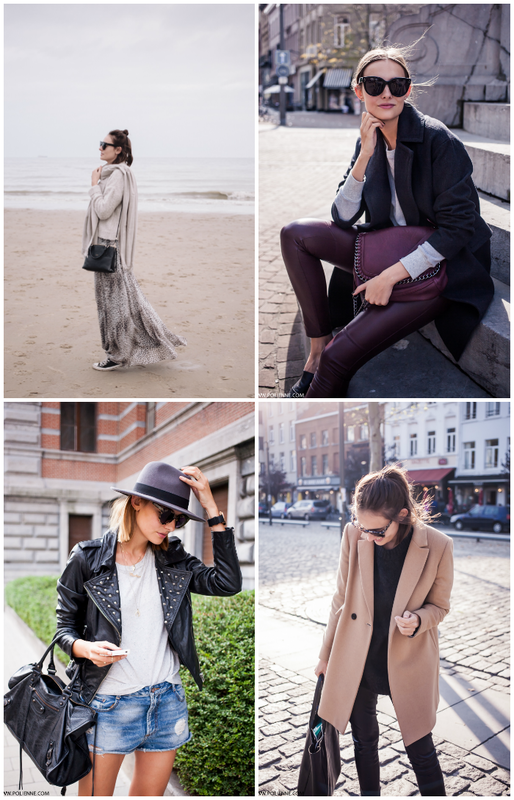 In January I bought this camel coat at the Massimo Dutti sale, and it has become my favourite coat EVER. It literally goes with everything, and you’ll definitely see it again later on this summary and of course in 2015. Also hot in early 2014 was the camel x grey combo and wearing stuff on my head. Onto summer then! Although I’m really bad at summer dressing (immediate tourist-feelings here), there are a few looks that I’m happy to look back to. For me the summer of 2014 was all about the revelation of the Birkenstock. After being very sceptic about these the year before, I totally gave in in July and took these babies with me to my Saint-Tropez holidays. Now even my boyfriend occasionally steals them! As you can see, the slouchier the better was most definitely my motto during the summer months. 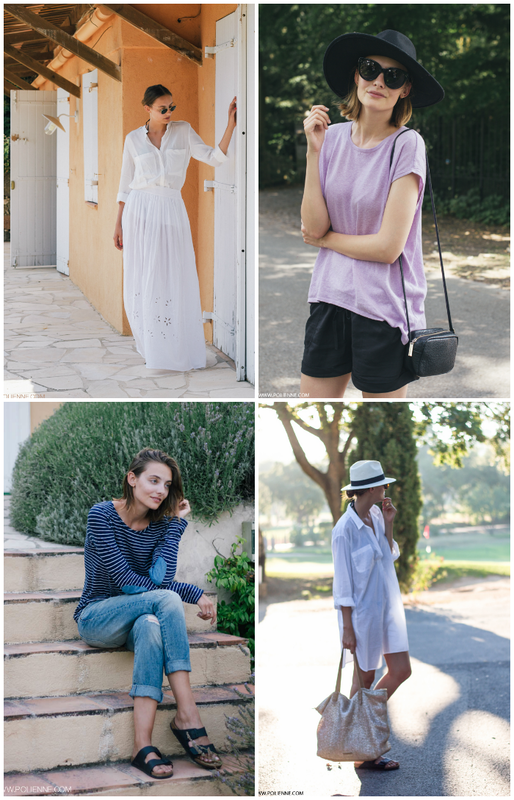 Wide shirts, maxi dresses/skirts and boyfriend jeans were my to-go pieces when temperatures were rising, and these will obviously return next summer. 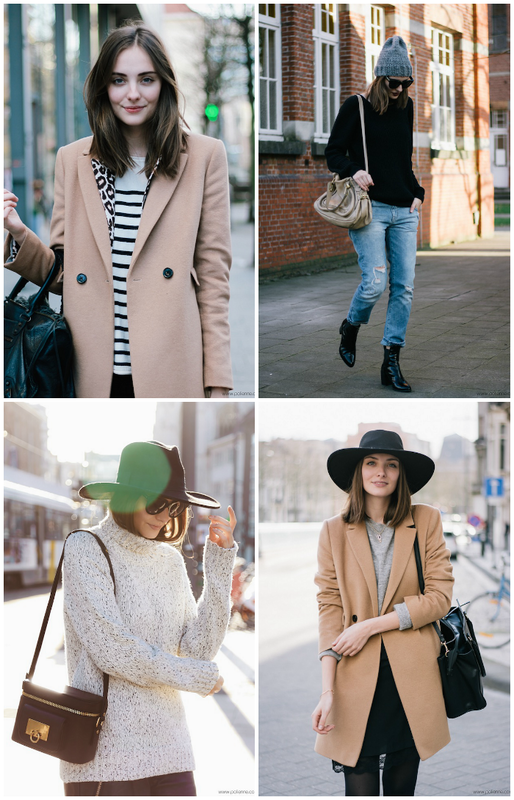 Say hello to my favourite season in terms of outfit-picking! We experienced an unusual warm autumn this year, which allowed me loads of fun knit-and-shorts combinations. That leather jacket has been absolutely perfect for these in between temperatures as well! When it got colder at last, I religiously sticked to my new leather legging addiction, preferably worn with a super large knit and a big scarf. I even managed to translate my maxi-anything adoration to autumn with this beautiful leopard print dress. Are you a fan too?